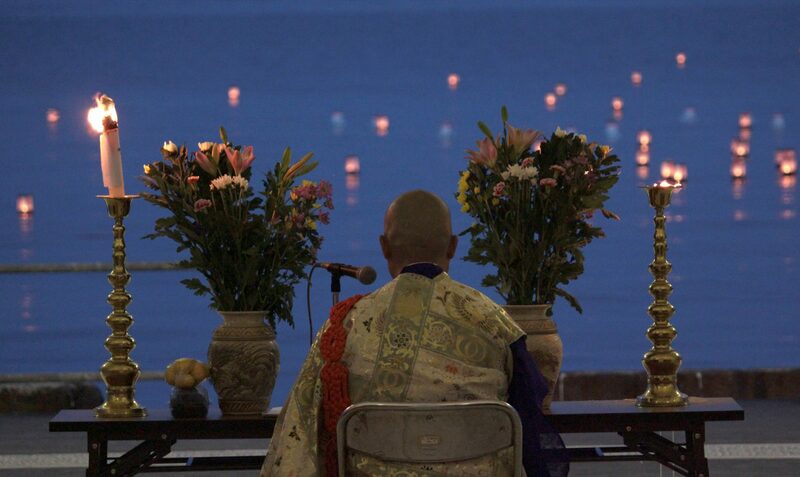 Three episodes of the documentary series Uncanny Terrain will screen in a sneak preview, Nov. 5 at 6:30 p.m. in the Blue Fish Japanese Environmental Documentary Film Festival at the Nightingale Cinema, 1084 N. Milwaukee Ave. in Chicago. Chicago-based filmmakers Junko Kajino and Ed M. Koziarski will hold a Q&A after the screening. Kajino and Koziarski traveled to Fukushima, Japan, shortly after the 2011 meltdown of the Fukushima Daiichi Nuclear Power Plant, to live and work with farmers fighting to continue growing organic food on land contaminated by the fallout. Screening are the episodes Defiance, Arising, and Renewal. 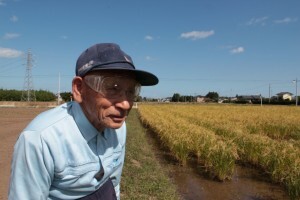 84-year old Teruo Yasukawa is the only farmer growing rice in Minamisoma, Japan, where authorities imposed a growing ban over fears of contamination from the meltdown of the Fukushima Daiichi Nuclear Power Plant, 20 km away. Seiji Sugeno fights to keep alive his village of Towa in the foothills of Fukushima, as farms fail amid fears of radioactive fallout and Sugeno worries for the health of his daughter Mizuho, who is poised to take over his farm. Born in the Tokyo suburbs, Akihiro Asami is one of the only farmers in the tiny mountain village of Wasetani, on the outskirts of Fukushima, where trace amounts of contamination from 2011’s nuclear meltdown compound existing issues with an aging population and struggling economy. Asami’s wife Harumi and two young daughters evacuated in the wake of the meltdown, but returned a year later, choosing the health risk over the alienation of living as an evacuee. They’re working to build a sustainable community with their neighbors, rooted in traditional farming and artisanal practices that utilize the area’s rich natural resources. 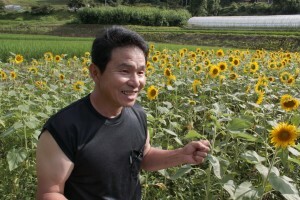 In 2014, Akihiro runs for mayor of the surrounding city of Kitakata, calling for a complete transformation of the local economy based on the principles he practices as an organic farmer.